Lets face it, as summer approaches and the temperatures drop, we dread wearing our beloved denims, and in comes our favourite cotton. You will have to agree that there is something about summers and cottons, that makes them a match made in fashion heaven. We can vouch for its wearability. Not to mention, slipping into one instantly brings out the sanskaari nari, residing inside you. With the rising mercury levels, even the Bollywood brigade isn’t far behind. 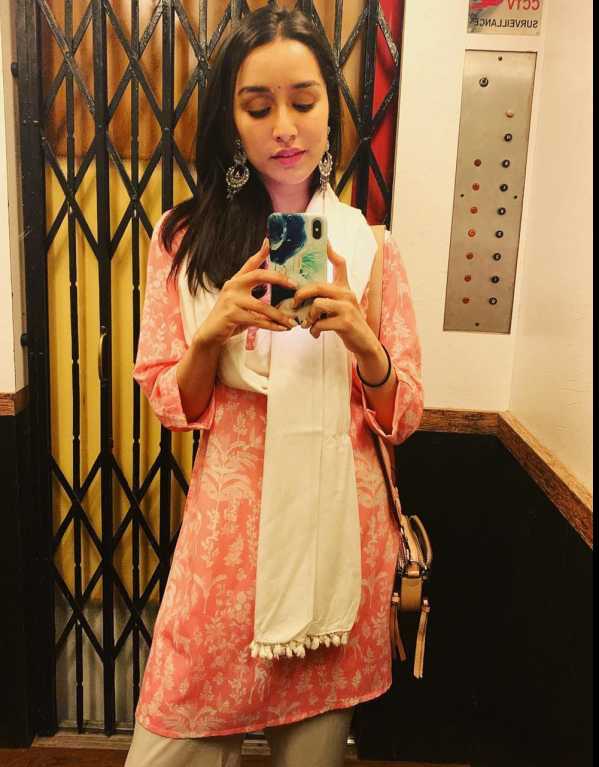 Every now and then you can spot a celeb opting for a kurta, and giving us major fashion inspiration. Here are a few looks that will surely make you get your hands on the perfect kurta this summers. Leave it to Alia to show us how to rock this traditional look with simple tweaks and a whole lot of confidence. Wearing a pink long kurta with a deep neck, and matching palazzo pants, she ditched the dupatta for a more casual look, and paired it with simple heels and minimum makeup. The fashionable Kapoors couldn’t be left off this list for sure! 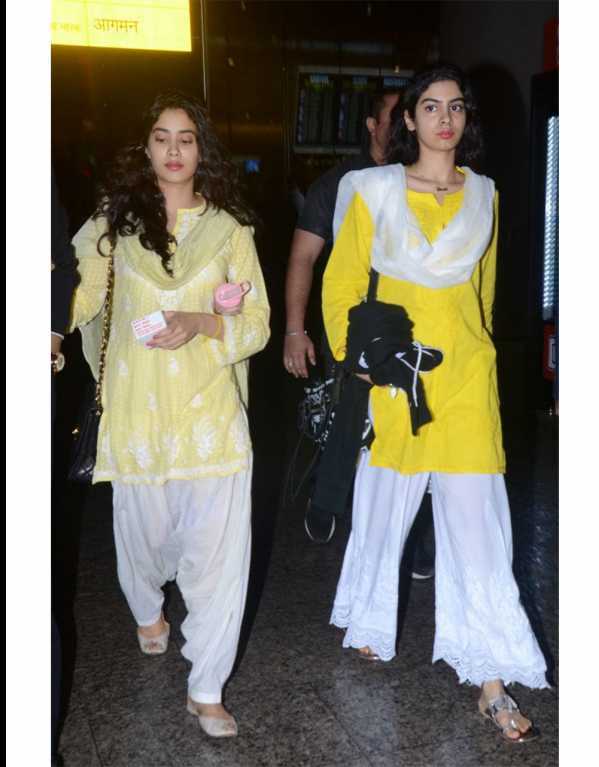 Wearing different shades of yellow, paired with white, they look like they are already set for summers. Only Bebo can achieve Bebo level perfection at an airport! 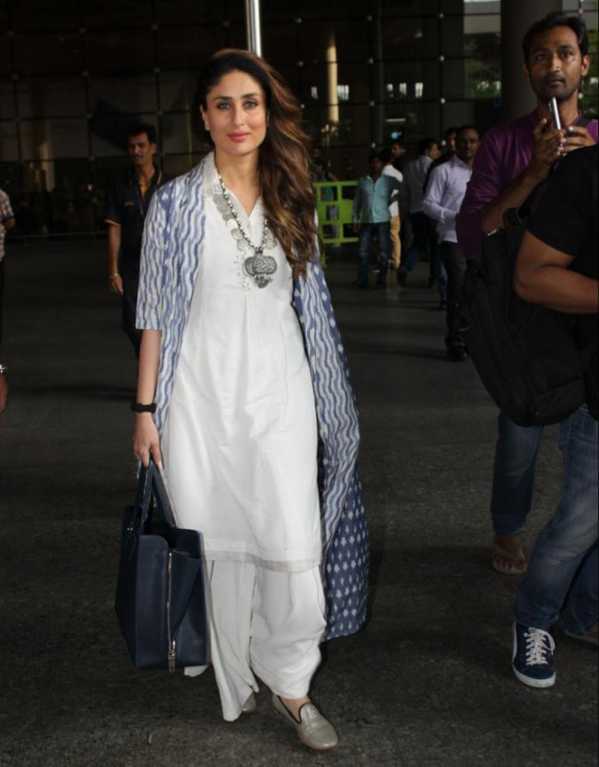 Wearing a plain white kurta, she added a layer with an indigo printed long shrug and completed the look with flats and a chunky silver oxidized neckpiece to go with it. A self confessed lover of all things Indian, Sara chose to wear a traditional chikankari kurta for a casual day out. With white churidaar, she chose to add a light pink dupatta with yellow border to break the monotony. With matching juttis and minimal accessories, she was all set! A floral kurta with white pants and dupatta is a sure-shot way to style yourself in summers. Take a cue from Shraddha Kapoor, and pair it up with big silver jhumkis and no makeup to complete the look. Bollywood inspired looks to get your Holi preps started! Lets just presume Holi is your favourite festival, or if not so yet, you are planning to make it, from this year onwards. By looking like a Bollywood diva and swaying to Anu Malik’s ‘Let’s Play Holi’ , we bet this year will be your best one yet. So keeping in mind all things white, we’ve created a buffet of inspirations for you all. Take your pick!